Our Part-Time Retail employees get to share our coolest technology with our customers while working a flexible schedule that lets them balance work and life. Not to mention a slew of great perks normally only found with full-time employment – like a full benefits package, tuition reimbursement, paid time off and discounts on AT&T products and services. From students looking to make some extra cash to someone looking for a second career, there’s a part-time opportunity to fit every need. See how our Part-Time Retail employees work a schedule that fits their life and responsibilities outside of work – from school to family and everything in between. What interested you in working part-time at AT&T? I worked in the cell phone industry for several years before graduating college. In 2008 when we were about to have our first child, we really wanted my wife to be a stay at home mom. So, I popped into my local AT&T store and found out they had a posting for a Part-Time Retail Sales Consultant. I got an interview, was hired and now have two children. It's eight years later and I'm still here! You get to get your hands on the latest and greatest technology. What is the coolest thing you’ve gotten to be trained on and why? Working here has allowed me to really be in on the industry that has changed so much with the smart phone and tablet evolutions. I am now regularly consulted at my full-time job and by friends and family. I would be so far "behind the times" if I didn't work here. 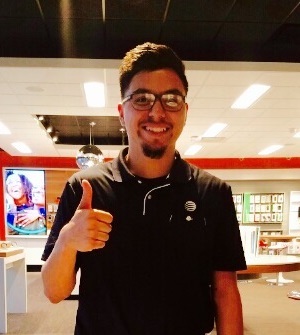 How would you describe the benefits of working Part-Time in Retail at AT&T? This is the best part time job ever. I get a pension, 401k with matching, tuition assistance and a dental plan to augment the one I have at my full-time job – plus paid vacation and holidays. How has working at AT&T helped you further your education? I'm currently a full-time student. The flexibility this job has given me to match my college schedule has been wonderful! Not only does the company give me enough time to go to school, but I also gain real world sales and customer service experience while at work. How would you describe the benefits of being a Part-Time in Retail at AT&T? 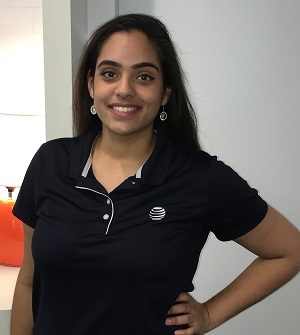 AT&T not only provides great benefits to part-time employees (paid time off, insurance, tuition reimbursement, and much more) but the biggest benefit I’ve taken away from working here is being able to work in in a fun, technology-driven and exciting environment. How does this part-time job differ from other part-time jobs? I have worked a few other part-time jobs and although they were great at the time, this has been the best part-time job I have had. Not only are the people here amazing, but the biggest difference between this and other jobs is the ability I have to control my pay check. I love working in sales and being able to control how much I get paid at the end of every month. AT&T gave me an opportunity to further my personal interest in cutting edge technology while simultaneously providing a work/life balance I don't think I would find anywhere else. How has working a part-time schedule benefited you outside of work? I'm a big family person, and I like to travel. Working a part-time schedule leaves me with plenty of time to spend at home with my family and good friends, as well as a lot of opportunity for visiting new, exciting places. What advice would you give to someone on their first day at AT&T? What do you wish you knew when you started? Honestly, working at AT&T makes you a part of something special. We're a Fortune 500 company with a proven track record of success in the past and big aspirations for our future. We’re all a family here, and with the right attitude you’ll do great. I moved from San Antonio, TX to Austin, TX with the expectation to be the first in my family to graduate with a Bachelor’s Degree. I chose a degree in Communications because it’s what brings people closer together and allows our individual personalities to thrive. 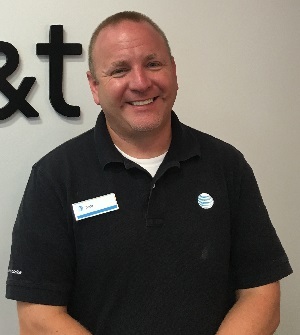 Understanding that AT&T is the leading company in that regard, I was eager to join a family that helped me not only grow occupationally, but personally. AT&T has definitely helped me do that. I am able to pursue higher education, while growing with a company that offers so much. I have days that are completely devoted to school, and AT&T respects that. Now on the verge of receiving my degree, I can say that kids from back home will be influenced by my actions and realize that graduating from a four year Institution is possible. 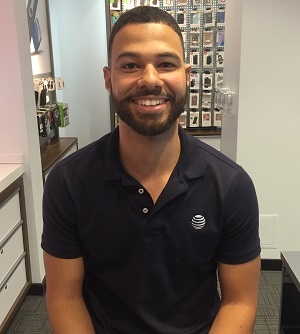 AT&T has played a vital role in my success as a student and in life. Learn more about our Part-Time Retail opportunities.